Football fans are in for a treat on Sunday as the 93rd annual FA Community Shield between the League champs Chelsea and Cup holders Arsenal is taking place at Wembley. An interesting twist is Chelsea veteran goalkeeper Petr Cech’s move to none other than the rivals back in June. Will this recent switch have an effect on his performance, or on the performance of his previous team? Is he going to be just as good while playing for Arsenal? These are the questions everyone wants to get answers to as the Community Shield final is kick-starting the football season. The UK-licenced online bookie TonyBet gives 37/20 on Arsenal’s win in regular time and 19/20 for the Gunners to lift the trophy. Meanwhile Chelsea is at 27/20 for the 90-minute win and 3/4 for the entire tournament. A tie is at 23/10 and with both teams being as strong as they are, the first 90 minutes may just produce that. Neither of the clubs have changed much in terms of team formation during the summer. Arsenal’s new addition Petr Cech seems to be already proving his worth, as the team flew through the pre-season, winning all four games. That is certainly a promising start of the season and the club can only hope such results will continue. Meanwhile Radamel Falcao has joined the Chelsea from Monaco after playing on a year loan with Manchester United. The Devils have decided not to make the contract permanent after the normally high-scoring striker did not show a good form. Did Chelsea make the right decision? With a loss to New York Red Bulls on the 22nd of July it might have seemed like a mistake, but they did defeat Barcelona on the 28th, even though it was on penalties after a tie. Falcao has already scored two goals for the Blues – half of what he did for United in the entire season. And although both of them came from the penalty spot, Chelsea manager Mourinho is convinced that the Colombian will once again be feared by the Premier League defenders. 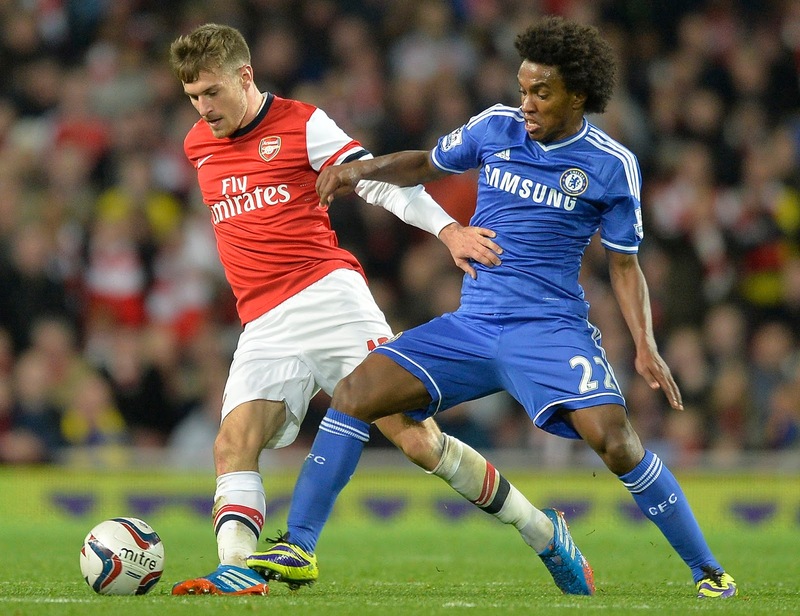 The long-lasting Arsenal – Chelsea rivalry will definitely spice things up in the Sunday final. The FA Cup winners Arsenal have won last year’s Community Shield trophy, however, the Premier League champions Chelsea accounted for Arsenal’s 2005 loss in this very competition. The clash between Cup and League winners guarantees an exciting spectacle on Sunday. Will Arsenal manage to defend the title or will Chelsea beat them like they did in 2005? Back your favourites and tune in on Sunday to find out!